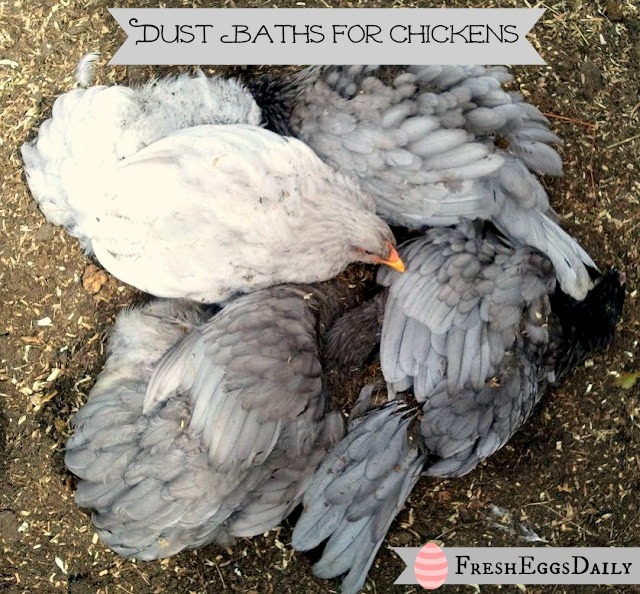 Dust baths are a chicken's way of keeping clean. The fine sand or dust keeps their feathers clean and helps them stay free of mites, lice and other parasites. 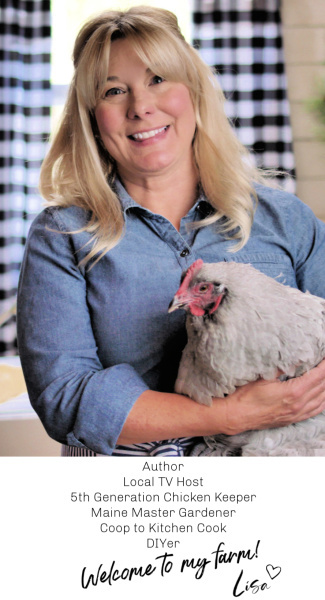 You can help make bathing easy for your chickens by finding a nice dry spot in the run where there is fine dirt or sand and adding some fireplace ash, food-grade diatomaceous earth and dried herbs. Wood ash is a wonderful addition to the chickens' dust baths. Make sure to only use wood fireplace ash, not briquettes or any wood that has had lighter fluid or other chemical coating on it. 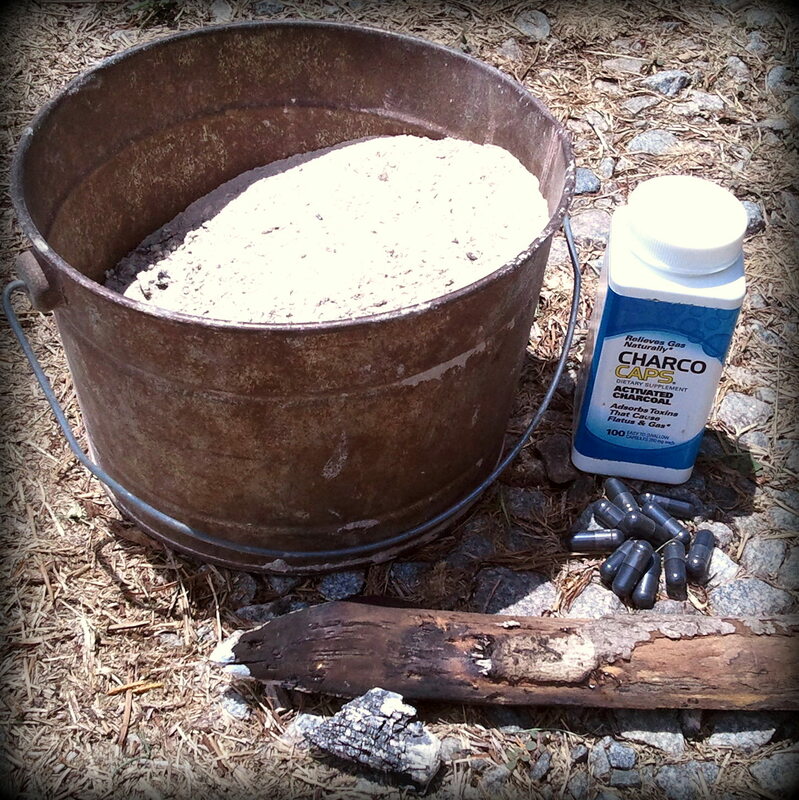 Charcoal wood ash contains Vitamin K (a blood clotting agent), calcium and magnesium. Charcoal absorbs toxins and research suggests that after forest fires, wild animals will consume it for its medicinal properties. Charcoal is also a laxative and removes impurities, as well as any worms, out of the body. 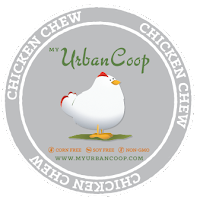 Much like charcoal pills for humans, chickens can greatly benefit from the charred wood in their dust bath, as they will nibble pieces of it as they bathe. 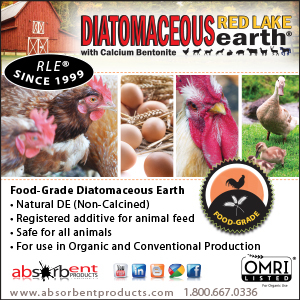 Food-grade diatomaceous earth kills mites, lice, fleas, ticks and other parasites. 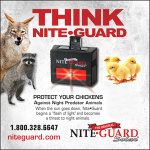 The DE filters through the hard-shelled bodies of fleas, mites, ticks and other parasites. The razor-sharp microscopic silicon particles cut through the protective coating on their shells, causing them to become dehydrated, block their airways and attack their respiratory systems. 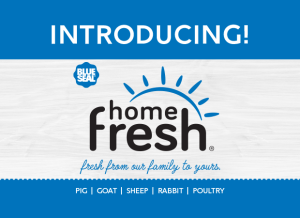 Note: Although DE is non-toxic and harmless to mammals when eaten, it is always best to wear a mask while using it because the small particles it can cause lung irritation in humans and chickens if the dust is inhaled. 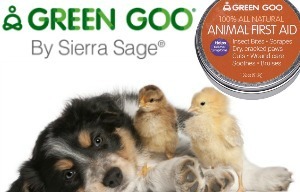 Some experts advise not using DE in dust bath areas because of the possible risks, but we feel any unproven possible risk far is far outweighed by the very real chance of your chickens contracting mites and then having to be treated with Sevin Dust or another equally harmful carcinogen or commercial preparation, which we DO NOT recommend. 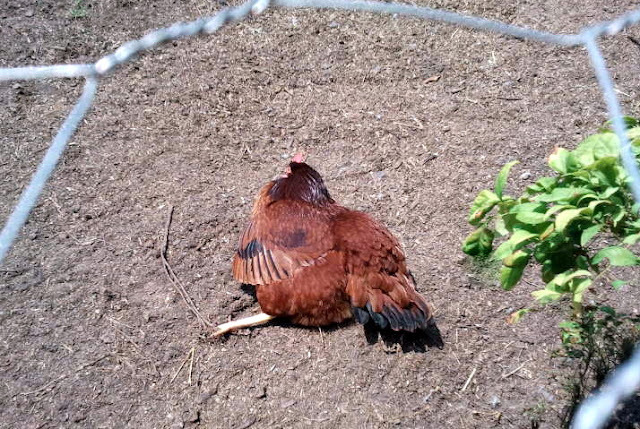 So just take care when applying DE in the dust bath or coop area. Dried herbs sprinkled in the dust bath area can also be beneficial and help prevent mites and other parasites. 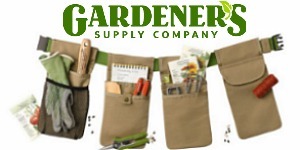 Dried lavender, mint, and rosemary are all good choices as they are natural insecticides. Dried yarrow is an anti-inflammatory and help clear respiratory systems as does thyme and rosemary. 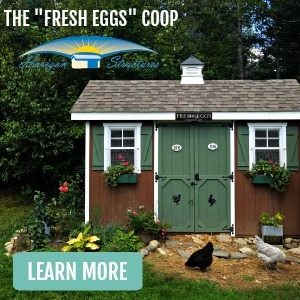 I quickly found out that the chickens will bathe where THEY want to, not where YOU want them to, and ours have decided to bathe under the coop. But you can always encourage them to use a spot of your choice. You can fill a wooden or plastic tub with your dirt mixture, create a bathing spot in a corner of the run, or make a ring of cut logs for them. They prefer to bathe in the sun, especially in the winter. 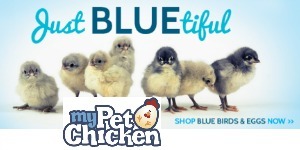 Your chickens will enjoy bathing and sunning themselves on nice sunny days and you will enjoy watching their antics as they squirm and twist and then shake all the dirt out. Of course the first time you catch them bathing you might think they are having convulsions or writhing in pain. 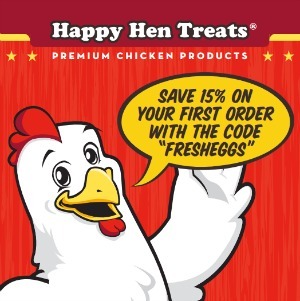 It's good to start your chickens off with good hygiene habits at a young age. 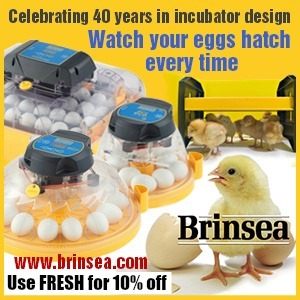 I fill a small plastic tray with sandy dirt and put it in the brooder box for my new chicks. 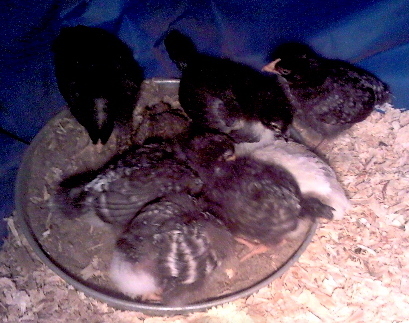 Even week-old chicks will hop into the tray and squirm around and flap their wings. It's healthy for them, keeps them busy and they are adorable to watch. The dirt doubles as the 'grit' they need to digest their food also. 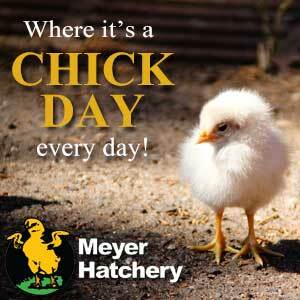 There is nothing cuter than a flock of 4 week old chicks dust bathing and chirping together. Nothing. Great pictures! I'm always afraid of disturbing mine and never get close enough to record how cute they are. My girls love to bathe under the coop, too. This morning I thought about changing Goldie's name to Pigpen, she had shaken that much dirt from herself afterward. Morticia joins in right beside her. I love watching them bathe. 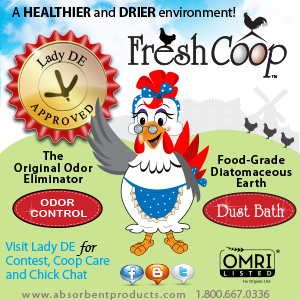 I often sprinkle DE around the run and in the coop. I need to make sure to catch the dust bowl. Mine can put our dogs to shame. Their dust bath holes can get quite large. I am amazed how quickly they can dig a hole. I just love watching Big and Little one take *their* dust bath!!! They are cute when they bath as little ones. Mine as so used to having their pictures taken, nothing fazes them anymore ! Thanks for following the blog....lots more ideas in the pipeline. We will be getting a new set of chicks soon, so I will definitely be setting up a little box for them to start bathing in! Kandy, actually when I interviewed Gail Damerow several weeks back for the blog tour she recommended AGAINST using DE in dust baths because the particles can get into their lungs. 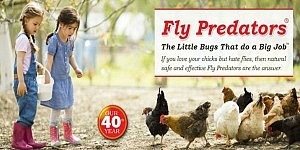 I am now torn because I believe it keeps mites, lice and other parasites at bay. I've never had a problem with any of those and I'm not sure if its the garlic powder in their feed or the DE but something is working. 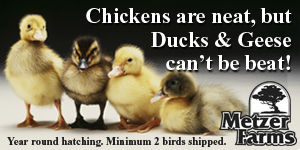 That said, chicks just need dirt. They aren't exposed to any parasites, so I would protect their little lungs and just use dirt. Just dirt from the garden for chicks? Thanks for such great info! 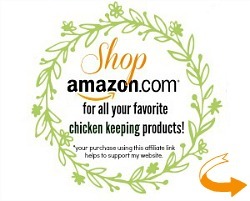 I didn't know to do this for my chicks. Thank you for your posts! I just got our first set of chicks and put them outside for the first time yesterday. They immediately started to do the dust bath and I thought something was wrong with them! LOL- I do have a lot more to learn! Your post was excellent and helped answer a lot of questions for me! Oh funny ! Yes even the little ones instinctively know to bathe. 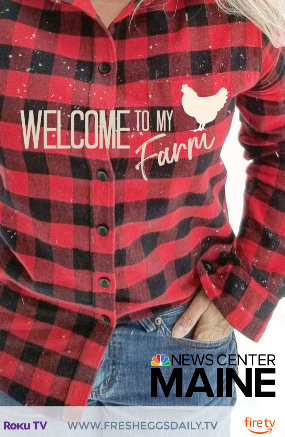 My chickens all love to do their bathing under a certain tree, but I just thought of something. What's going to happen in the winter? 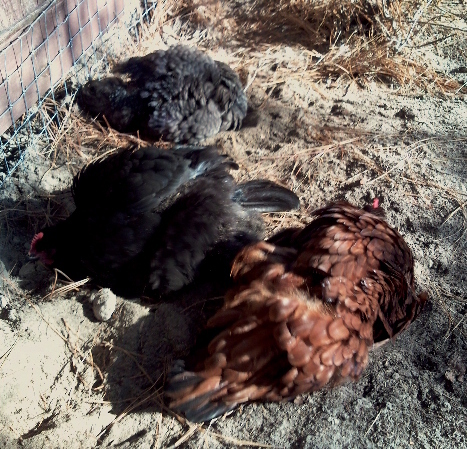 Maybe I should make them a box for dust bathing. Wouldn't hurt - I don't really notice them bathing in the winter, maybe because the lice and mites are dead ? I don't know. It seems to mostly be a summer thing. Hi Lisa! 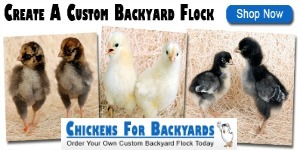 I am preparing for my first ever chicken flock and stumbled upon your sight in my preliminary research. 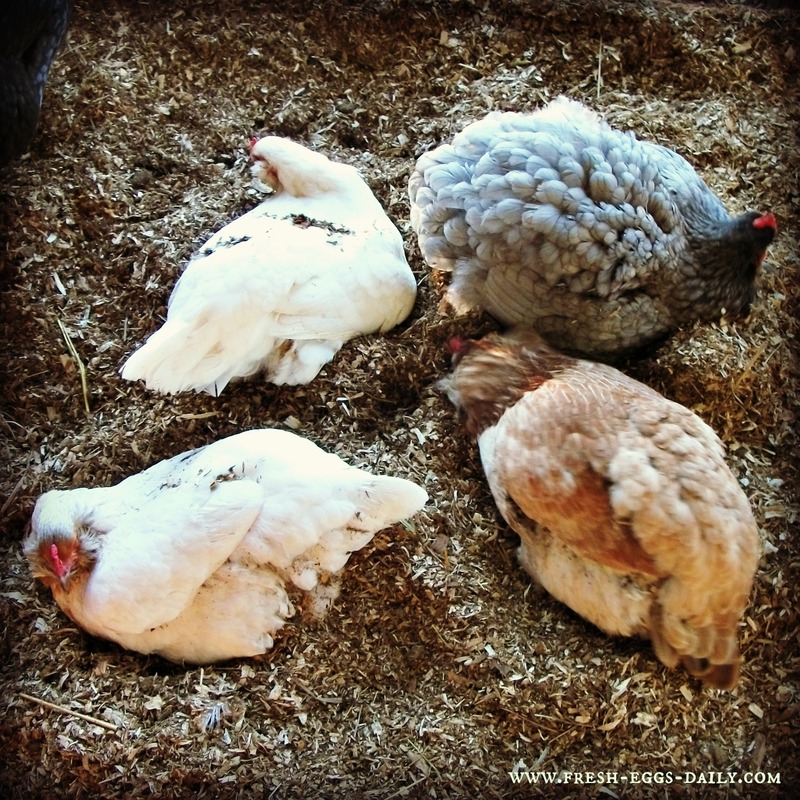 It sounds like dust bathing is very important- but what if I live in a wet climate where dusty soil is nowhere to be found and if I provide it, it will get wet quickly! I live in Seattle and it's misty or rainy pretty much every day. Any thoughts on a solution? I would fill a plastic kiddie pool with some dirt/sand. 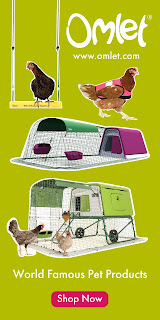 If you have room inside your coop, put it in there, if not, maybe a sheltered area outside. It doesnt' even need to be that large, a plastic under-the-bed storage tote will work as well. Something you can move as needed to keep it dry. I truly get pleasure from while I read your blogs and its content.No wonder why you receive countless of feedbacks. blog is truly extraordinary in all aspects. good to feature much enlightening and unique articles on your websites. love all data that you just provide in your articles. actually interesting post, from every point of view it is really outstanding. to give you quick thumbs up on your work, really fantastic blog!